Would you support the expansion of the Michigan bottle deposit law to include bottled water? How about requiring our public schools to include environmental education at all grade levels? Or requiring companies to use only recyclable packaging with their goods? According to a recent survey carried out through the Detroit Zoological Society’s Greenprint, these are just a few of the efforts that Detroiters support to improve our community’s environmental efforts. Through this survey, we sought to understand “green literacy” in the community, and conducted it in partnership with local environmental organizations, educational institutions and other groups. Our goal was to determine how greater Detroit residents view and understand environmental and conservation issues. Not surprisingly, the survey highlights a community with a personal commitment to environmental concerns that is supportive of public policies to protect our environment and resources. Michele Arquette-Palermo, program director of the Clinton River Watershed Council and one of our partner organizations on the survey, said that as an environmental educator in southeast Michigan for the last 15 years, she’s very happy to see evidence that reaffirms that environmental education influences attitudes and actions. The survey also suggests that our community would like to have greater access to public transit, at home recycling programs and access to food with the environment in mind. The online survey was carried out by Belden Russonello Strategists, a Washington, D.C.-based public opinion research firm, and was completed by 1,000 residents ages 18 and older who reside in a four-county area that includes Macomb, Oakland, Washtenaw and Wayne. In addition to the DZS and the Clinton River Watershed Council, other partners include Kurt R. Metzger, mayor of Pleasant Ridge and director emeritus of Data Driven Detroit, DTE Energy, Lawrence Technological University, The Nature Conservancy and Wayne State University, among others. To read more about this survey, including all of the questions presented, please visit: http://dzoo.org/greensurveyreport. For the past few summers, I have traveled to Laramie, Wyoming for the Wyoming Toad Species Survival Plan (SSP) meeting, which is an effort by the Association of Zoos & Aquariums (AZA) to cooperatively manage species populations within accredited zoos and aquariums. First, I fly into the Denver International Airport, which is followed by a 140-mile road trip to Laramie. 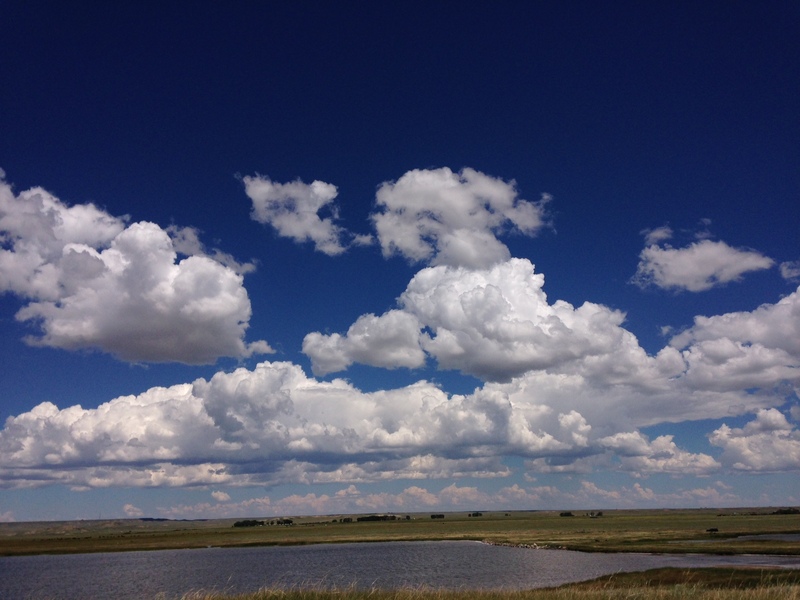 The trip is full of spectacular views of mountains, canyons, vast plains, huge clouds and pronghorn antelopes. Sometimes I drive the distance alone but this year I made the trip with three colleagues from different zoos. Each of us is a representative for our respective institution, all sharing the same goal of saving one of North Americas most endangered amphibians, the Wyoming toad. After a stop for groceries and gas, we arrived at our destination for the next five days – a cabin in this remote area of Wyoming. We’re joined there by most of the other members of the SSP – this year, 10 people stayed at the cabin. Most of us have known each other for some time, so sleeping together in a room full of triple-layered bunk beds seems like a week at camp with old pals. But it’s far more than summer camp – we take part in discussions and updates on a number of important topics such as husbandry, health, management, fieldwork and research on this toad. The next morning, representatives from the U.S. Fish and Wildlife Service (USFWS) arrived along with the AZA SSP coordinator to begin the meetings. Besides the zoos and aquariums involved, there are two USFWS facilities in Wyoming that hold, breed and release the toads. Many important topics are discussed with the last being choosing captive breeding pairs for 2016. The Detroit Zoological Society (DZS) breeds these critically endangered Wyoming toads at the National Amphibian Conservation Center (NACC). 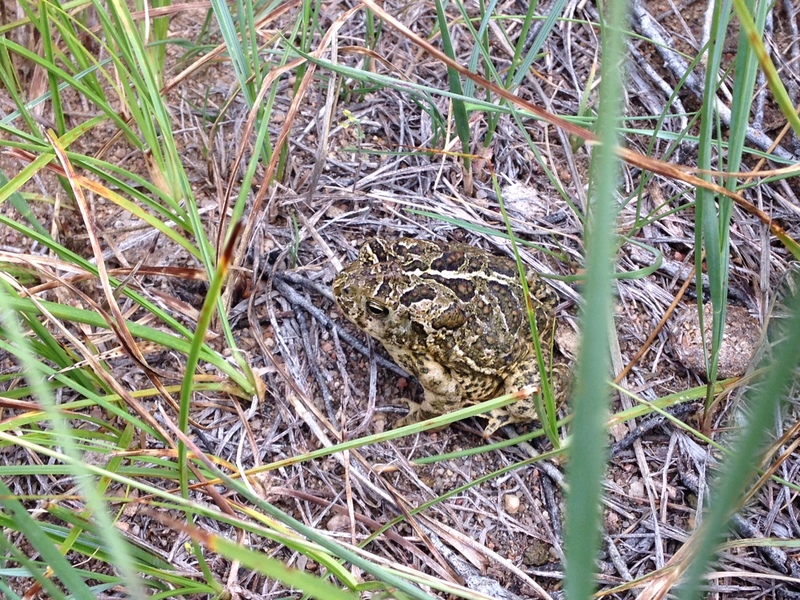 Since 2001, the DZS has released more than 6,500 Wyoming toads into the wild as tadpoles, toadlets and adults. In 2007, the Detroit Zoo earned the highest honor on the AZA’s list of the Top 10 wildlife conservation success stories for that year. The population of toads is maintained in special bio-secure off-exhibit rooms of the NACC. We have enough room to breed four pairings each year, and any tadpoles produced by the pairings are shipped out to Wyoming for release into protected wetlands in efforts to create self-sustaining populations. Like each of the organizations present, I brought detailed notes on every adult toad in our resident population so that the best pairs could be chosen. Captive Wyoming toads need to be of ideal weight and health to take part in a month-long hibernation, followed by a June breeding event. Through the AZA, there is an identified “studbook keeper” who matches toads pairs that are least related and most likely to produce offspring that will be the most genetically fit. On the second day in Laramie, we received training for the USFWS field surveys. Field surveys are done three times during the warmer months of the year around Mortenson Lake. This lake is the last known area the Wyoming toad lived before it was removed from the wild to protect the species from extinction. 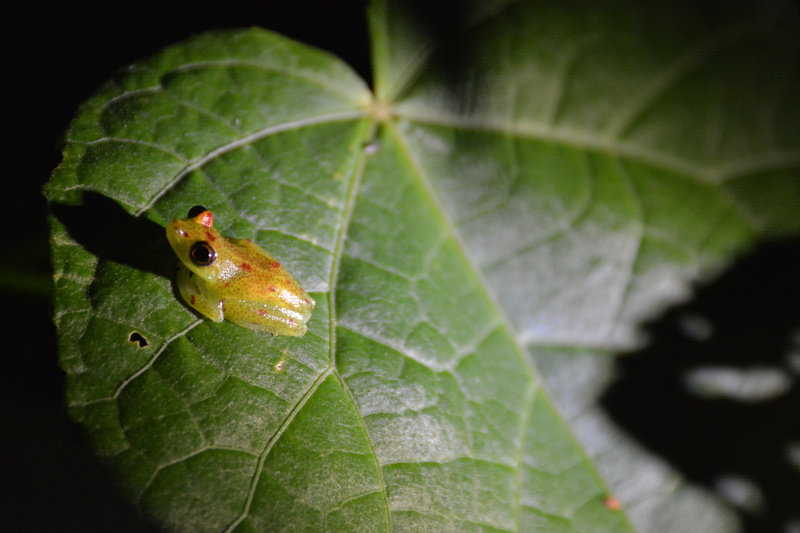 It is also the site of past and present releases of captive-produced tadpoles and toadlets. Present-day releases are more protected and provide several topics for research. 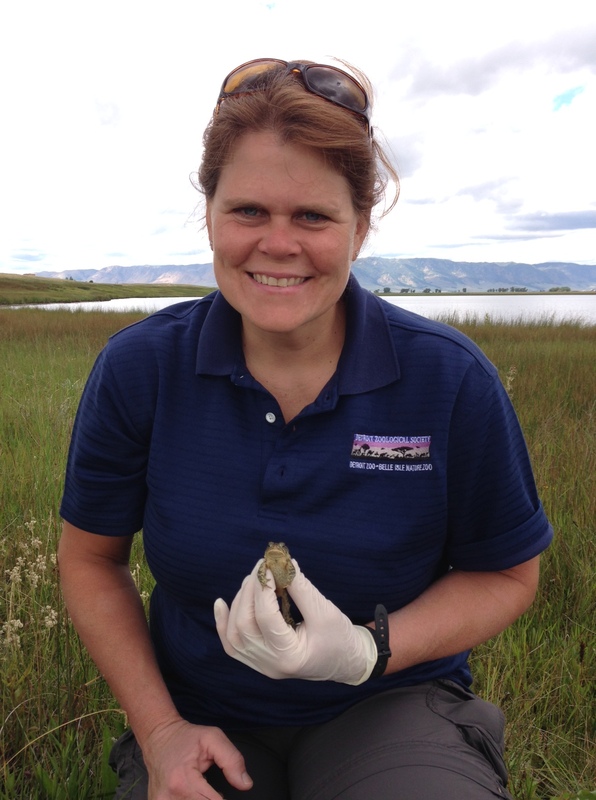 Members of the SSP have been assisting with the mid-summer field surveys for more than five years and the training is just the beginning of a two- to three-day process to see how many Wyoming toads can be found around the lake. The third and fourth day of my stay is spent almost entirely out in the field surveying for toads around the lake. Teams of two or three people carry backpacks full of equipment for data collection. Each plot must be surveyed in a specific allotted amount of time and by walking in an S-shaped pattern. Toads can be found hiding under grass, sitting on hard-packed sandy areas or swimming near the shore of the lake. If a toad is located, the timer is stopped, and data collection starts. Toads are photographed for identification, weighed, swabbed for disease testing and, if large enough, “microchipped”. It is particularly exciting when an older toad or a toad with an existing microchip is found. This usually means the toad has survived one or more very cold winters and may potentially breed in the lake. Weeks later, back at the Detroit Zoo, I receive the compiled results of the survey. This year, we located and collected data on 224 toads – 129 toadlets that were captive-born and released into the lake this spring; 29 toads that were captive-born, released last year and survived the winter; 33 adult females and 33 adult males. Until next July, go toads! – Rebecca Johnson is the associate curator of amphibians for the Detroit Zoological Society. Seven weeks ago, I was asked by the Detroit Zoological Society to travel to Antarctica for part of the “austral summer”, which is the time period from November through March in the southern hemisphere, for a rare and extraordinary opportunity to assist a field team with penguin research. Before leaving, I had to pass rigorous medical testing, losing a couple of wisdom teeth along the way. Over the next few weeks, I acquired gear and packed everything I would have for the next three months into two 50-pound bags. With bags in hand, I headed to Detroit Metropolitan Airport to begin the long, 7,500-mile journey. I traveled from Detroit to Dallas to Santiago, Chile and finally landed in Punta Arenas, Chile, some 25 hours later. Punta Arenas is a very windy but beautiful city with the Andes in the background and the Straights of Magellan winding along the coast. The following day, I moved onto the Laurence M. Gould, a 230-foot Antarctic research and supply boat, which will be my home for the next week. We then set sail for the U.S. Palmer station. I woke up the next morning with the boat slowly rolling, as we traveled south down the east coast of South America in the Atlantic Ocean. We have been greeted with numerous Magellanic penguin sightings. Throughout the day, we continued south towards the infamous Drake Passage. We will enter the Drake with our fingers crossed, as it is known to have some of the roughest waters in the world. Once we arrive at the Palmer Station, I will join the “Seabird” team, which is a division of the Long Term Ecological Research (LTER) studies in the Antarctic Peninsula. Here I will assist with the annual austral summer research for projects headed by the world-renowned polar ecologist and penguin expert Dr. Bill Fraser and his wife, Donna Patterson-Fraser. Bill and Donna are incredible, experienced scientists who have spent years studying Antarctic birds, climate change and how they relate. Our typical day will start by getting up early and watching the weather. As long as conditions look promising, we will get in a zodiac and drive to one of the many smaller islands located around the Palmer Station, where we will study the birds. Most of our study subjects will be gentoo, chinstrap and Adelie penguins as well as southern giant petrels. Throughout the summer, we will examine diet, population numbers, breeding and more. Back on the boat, there has been a lot of wildlife around us. Dolphins swim through the ocean while birds cruise around us. Cape petrels, southern fulmars, black-browed albatrosses, and many more have gracefully glided alongside the boat. We are just passing the tip of South America, headed for the Drake Passage. Wish us luck and calm seas! The next time I report back, we should be on land at the Palmer Station. – Matthew Porter is a bird department zookeeper for the Detroit Zoological Society and is traveling to the U.S. Palmer Station in Antarctica for a rare and extraordinary scientific opportunity to assist a field team with penguin research. Most days don’t start with a walk through a construction site and a “mototaxi” ride to get into the office, but today it did. It also included watching an iguana outside of the office window as it rested against the tree branch soaking in the Amazonian heat. Currently, I am in Iquitos, Peru, preparing for evaluations in 53 rural communities along the Amazon and Napo Rivers. This is part of our Adopt-A-School program that the Detroit Zoological Society (DZS) supports in conjunction with an organization called Conservacion de la Naturaleza Amazonica del Peru, A.C. (CONAPAC), based out of Iquitos. We work together to bring conservation awareness to these communities as well as provide opportunities for education. Each spring, the DZS leads groups of volunteers down to Peru to deliver school supplies to these communities. In the fall, as the schools wrap up their school year, we send DZS staff to attend these evaluations to check in with communities on how well they are using their supplies, how well the students are learning and how well they are maintaining the environment around their communities. That’s what DZS Education Specialist Adam Dewey and I are here to accomplish. Although I’ve attended the school deliveries in the past, this is my first opportunity to be here for the evaluation component. I’m looking forward to seeing what the communities look like without the festivities that the school supply deliveries bring. We will see students in school, see how they learn and all that they’ve been able to accomplish this past year. We will talk with leaders within the program to see how well they’ve maintained and supported the service projects that have been completed within their communities. We will also see the new water filtration systems in use in each of the schools. Clean drinking water has been an additional project for CONAPAC, and one that has helped to keep children in these communities healthy, so I am especially looking forward to seeing this in action. Soon, we will be heading down the river to rustic lodges in beautifully remote areas, where hot water isn’t an option, and electricity is only found in the dining hall. I am looking forward to being immersed in the rainforest for the next two weeks, spending time in these communities and visiting with the amazing people that live here. Check back soon to hear more about the program and our upcoming adventures in the communities! Last month, I was able to experience something that was truly a dream come true. For my entire career, I’ve longed to travel to the home country of a species I care for at the Detroit Zoo, and contribute directly to the health and welfare of that species. In October, I travelled to the Gorilla Rehabilitation and Conservation Education Center (GRACE), which is located in the Kasugho region of North Kivu, in the eastern Democratic Republic of Congo (DRC). GRACE is the world’s only facility that cares for highly endangered Grauer’s gorillas (Gorilla beringei graueri) that have been rescued by wildlife authorities after being illegally captured by poachers and traders. Grauer’s gorillas are endemic to this region and only 5,000 remain in the wild. There are currently 14 gorillas being cared for at GRACE, ranging from 3-14 years of age. At GRACE, a dedicated Congolese staff provides daily care, including a diet that includes local fruits and vegetation training for important animal management behaviors and treatment for medical problems. Caretakers also monitor the group while they enjoy a 24-acre forest, which is the largest gorilla enclosure in the world. The Detroit Zoo entered into partnership with GRACE in 2014, and as the Chair of GRACE’s Board, Detroit Zoological Society CEO and Executive Director Ron Kagan has provided and facilitated important support to the project. Most recently, he secured funding for a new night house enclosure that is currently under construction. I traveled to the Congo with three staff members from Disney’s Animal Kingdom, including a veterinarian who led the team, a veterinary technician and a husbandry expert. Our goal for the eight days at GRACE was to perform examinations on 12 of the 14 gorillas – this has never been done before anywhere in the world, and it was important that we do all we could during these exams to learn about the health problems they may face. The objectives were to conduct physical wellness exams to make sure the gorillas are healthy and to build capacity within the GRACE staff. Most orphaned gorillas suffer from malnutrition and are in poor shape when they first come into human care, and examinations under anesthesia allow a thorough exam to be performed and blood to be collected for testing. During the procedures we worked closely with staff members to demonstrate techniques and discuss observations. The team also transported several diagnostic tools to the site for the exams. A veterinarian from Gorilla Doctors in Rwanda brought a portable X-ray machine and took images of several animals that have had orthopedic injuries in the past. The veterinarian at Disney was able to secure the loan of a portable dental X-ray unit that we used to take radiographs of the teeth to ensure that normal adult teeth are forming below the visible baby teeth. A recently donated ultrasound machine was used to perform cardiac exams on the gorillas as well. With all of these diagnostics being performed, it was especially important that we work efficiently as a team – we discussed our exam plans and responsibilities before each procedure, and worked very well together. During the afternoons, we provided lectures to the staff at GRACE, and shared information about dental health, heart disease and training for important behaviors that allow care to be provided. The staff is very appreciative of opportunities for learning and improvement, and was a very attentive and interactive audience. In all, my trip to GRACE was one of the most amazing experiences I have ever had. The people at GRACE were very welcoming and gracious and greeted us with a ceremony that included a traditional song and dance prepared just for our team. We were able to observe the gorillas in their forest enclosure, which is the closest I’ve come to seeing them in the wild, and a very special experience. It was wonderful to work with a group of people so committed to the care of these amazing animals. Everyone had to work very hard to allow these health checks to happen, and at the end of week, we celebrated with a party and shared the very American dessert “s’mores” with the staff. I am very thankful to the Detroit Zoological Society for providing me with the opportunity to travel to the Congo, and honored to be able to serve the people and gorillas of GRACE. – Dr. Ann Duncan is the chief veterinarian for the Detroit Zoological Society and oversees the Ruth Roby Glancy Animal Health Complex at the Detroit Zoo. Hola mis amigas y amigos! This has been an interesting trip indeed! 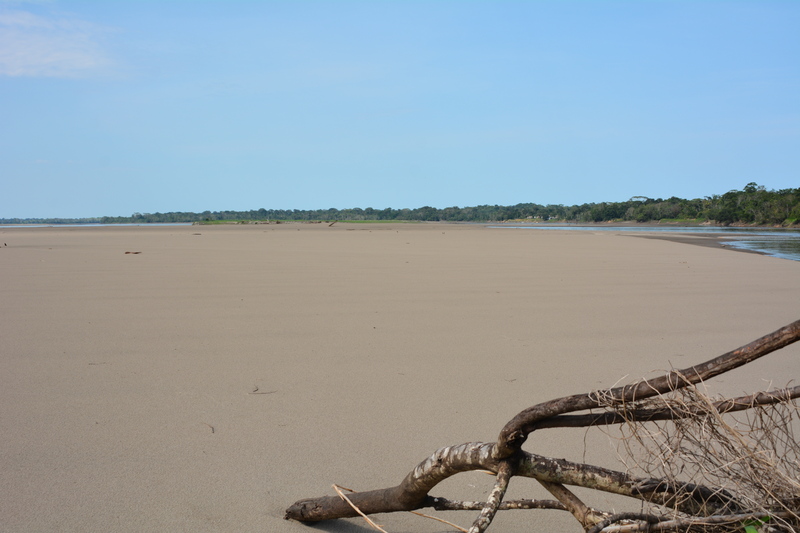 We can normally get pretty close to the island of Purawa by boat, but this time, we ended up walking on what looked like a desert a mile long! When we finally got to the “green” part, it was equally as dry. We cut a path with a machete for the evening hike and waited for the sun to disappear. We saw some species of amphibians, but none that we would’ve hoped or expected to see. This island is uninhabited and usually has not only a large number of amphibians, but also a lot of different species. 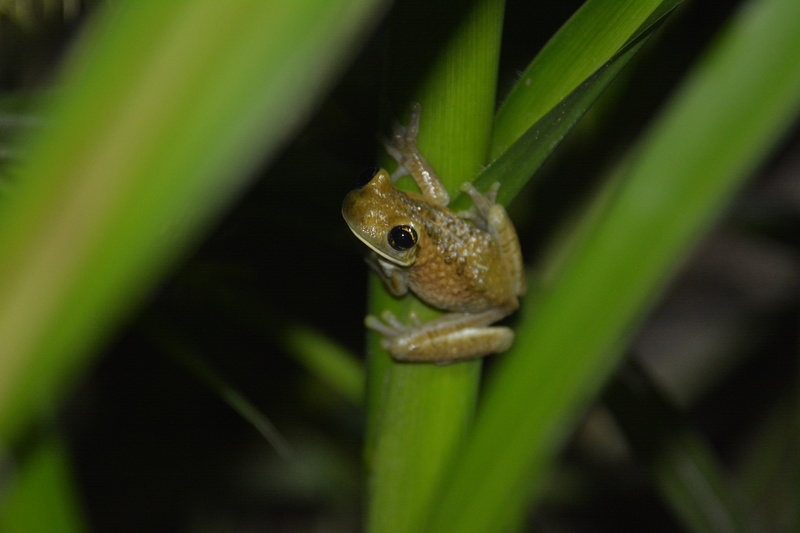 We often see an abundance of tree frogs and many smaller species perched in the grasses along the smaller ponds. This time there were almost no tree frogs and only a handful of toads. later. One night, there was silence – complete silence for what seemed like an hour though it turned out to be only 10 minutes. That is an unusual sound in the rainforest – hearing nothing at all. Lightning and thunder came on quickly, which may explain the brief silence. I was curious before but am now very interested to see what the remainder of the week will be like. – Marcy Sieggreen is the curator of amphibians for the Detroit Zoological Society and is doing fieldwork in Peru, studying amphibians in the lower elevations of the Amazon River to see how they are faring with increased human populations and impacts in their habitats. Much like we can minimize our ecological footprint and reduce our impact on the planet by making greener choices, we can also work to increase our compassion footprint by making kinder choices. What are the effects of this item or activity, both positive and negative, on animals and the environment? For example, upon examination, we discover that conventional coffee is grown in areas of the rainforest that have been “clear cut”, which means that the trees have all been removed, which negatively impacts ecosystems and inhabitants. Alternatively, shade-grown coffee is grown under the canopy layer of trees, which not only preserves native trees, this method also conserves habitat for many animals. When we take a moment to examine the products we’re purchasing, it enables us to make the best choice possible for people, animals and the planet. 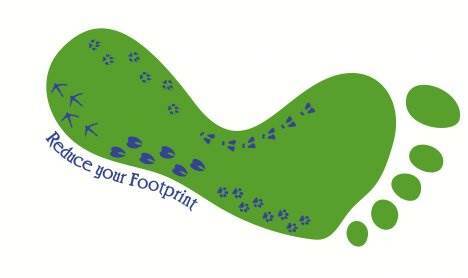 This enables us to make knowledgeable decisions on how to walk softly and treat the Earth’s creatures gently. Whether we choose to purchase cruelty-free products, adopt a companion animal or attend an animal-free circus, there are lots of ways to increase our compassion footprint. How have you expanded your compassion footprint by being kind to animals? Share your stories with us! – Lisa Forzley is the humane education manager for the Detroit Zoological Society and oversees the Berman Academy for Humane Education.